Government Proposes Renting Homes Seized in Foreclosure | The Law Office of Emil Fleysher, P.A. Government Proposes Renting Homes Seized in Foreclosure | The Law Office of Emil Fleysher, P.A. Hundreds of firms responded to a U.S. government request for proposals to rent out foreclosed homes. 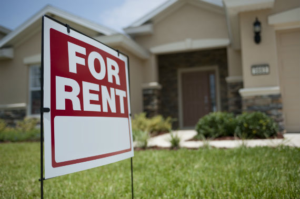 Fannie Mae and Freddie Mac seek to reduce losses, stabilize neighborhoods and support housing values by turning into rentals a portion of the more than 180,000 repossessed homes in their inventory. Plans for a foreclosure-to-rental program are significant because Fannie Mae and Freddie Mac service more than half of U.S. home mortgages. Initial transactions are estimated to be made in early 2012. The Federal Housing Finance Agency received more than 4,000 submissions, about 10 percent of which were considered valid. Among the proposals were joint-venture partnerships, sales, auctions and asset-disposition strategies similar to those used after the savings and loan collapse of the early 1990s. With or without the government program, some companies plan on purchasing foreclosed homes that will be renovated and held as rentals. Home values are down 31 percent from their 2006 peak and they are estimated to continue falling next year with a recovery unlikely before 2013. The program, when fully implemented, has the potential of having a significant impact on the stabilization of real estate value across the country. Further, as more homeowners lose their properties to foreclosure and fewer buyers qualify for mortgages, there is an increase in the need for rental property. If foreclosed homes are converted into rentals, it will help reduce the demand for rental property.